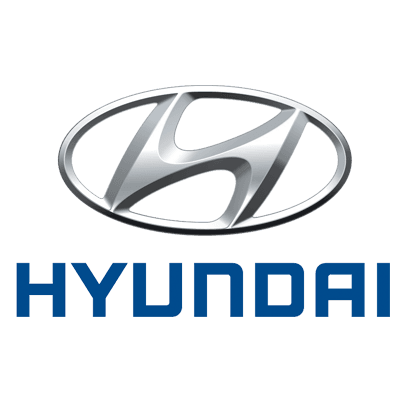 The Chorley Group is pleased to present the internationally-acclaimed Hyundai Kona! With its true SUV genes, a progressive design and premium features, the Kona is a bold statement that reflects the lifestyle of modern customers. Expressive and powerful from the first glance, the all-new Kona adopts Hyundai’s Cascading Grille which emphasises the company’s new family identity. The twin headlamps enhance the visual impact, with the LED Daytime Running Lights positioned on top of the LED headlights. The separated lights at the front deliver a confident, progressive appearance with sleek, sharp shapes. A bold front and rear are emphasised by the car’s wide stance and its voluminous, aggressive body styling. The Kona’s two-tone roof and the choice of ten distinctive exterior colours offer many individual combinations for almost every individual style. The interior is characterised by smooth surfaces on top of the instrument panel that give it a sensuous and refined feel while dark painted parts represent the technological and rugged character. This is complemented by considerable roominess and visibility. A choice between different-accent colours and matching coloured stitching on the seats and steering wheel show the refinement and attention to detail that went into the development of the sophisticated interior. With its wide (1,800 mm) and low stance (1,550 mm), the Kona has a distinctive appearance on the road, further underscored by the 18-inch two-tone alloy wheels (Tyre size: 235/45R18). The new Kona is also available with 17” alloy wheels (Tyre size: 215/55R17) as well as 16” (Tyre size: 205/60R16) alloy and steel wheel. Right from the start, the Kona offers the choice between two turbocharged, small-displacement petrol powertrains with high low-end torque and excellent fuel efficiency: a 1.0-litre T-GDI with a 6-speed manual transmission (MT) and 120 PS as standard and a high-power 1.6-litre T-GDI with 177 PS, which is available with Hyundai’s self-developed 7-speed dual-clutch transmission (7DCT). Development engineers have designed the Kona with a good balance between power, comfortable ride and handling qualities, without compromising on that true SUV experience thanks to a ground clearance of 170 mm. Its elevated seating position ensures better visibility for drivers and increases driving comfort. At the same time, the lowered interior floor and the optimised tunnel part of the SUV platform allow for a spacious interior which further adds to the Kona’s versatility. The optional four-wheel drive benefits from an adjusted transfer mounting angle, thus improving the turbo engine's performance. The Kona offers customers advanced connectivity features to enhance seamless integration of your smartphone, making operation more intuitive and safe while driving. Customers can choose between three systems. The Standard Audio system with a five-inch monochrome TFT screen featuring radio, Bluetooth connectivity, AUX-in and USB connection. Additionally, there is a central information screen located in the centre of the instrument cluster between the two dials, available as a 3.5” Mono TFT LCD display (standard) or 4.2” TFT colour display (optional). The optional eight-inch infotainment system in the All-New KONA integrates all navigation, media and connectivity features, allowing drivers to always stay tuned to the traffic ahead. It also provides both Apple CarPlay and Android Auto, enabling users to connect their devices to deliver and control music, telephone or navigation functions on-screen. Also included is a free seven-year subscription to LIVE services offering updated information in real time about weather, traffic and speed cameras, plus online searches for points of interest. Driver's Supervision Instrument Cluster 4.2"